Had a lovely weekend in and around Adelaide. Headed to the pub to watch the Footy Final, only to discover that it had already been played in the afternoon (like, duh!) felt rather dumb and had a quiet night in instead. Attended ecochurch in the botanic gardens on Sunday morning, then headed to Hahndorf where we spent a very pleasant afternoon with the guy who organised steve to come to Adelaide and his wife and daughter. visited art and crafts stores, and ended up at a vineyard for some wine tasting, where we happened upon another Uniting Church minister and his family. Jan arrives this afternoon so we will head off to collect her soon. 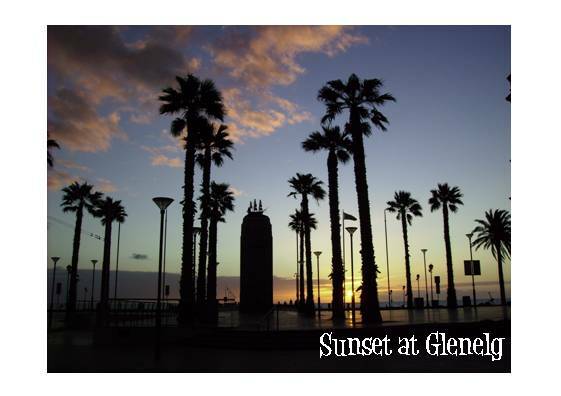 We are looking forward to showing her some of what we have been enjoying in Adelaide! We have had the most amazing 72 hours. 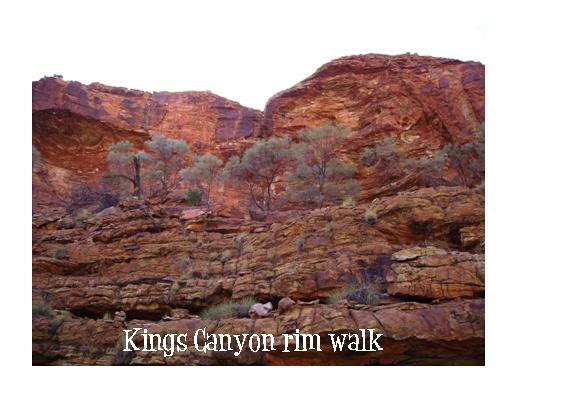 We flew to Alice Springs on Thursday morning and collected a rental car, complete with swags and other camping gear and headed south towards Kings Canyon. Everything is red. Very red. And beautiful. There wasnt time for many stops as we needed to get to our camping spot before dusk brought the wildlife out onto the roads. 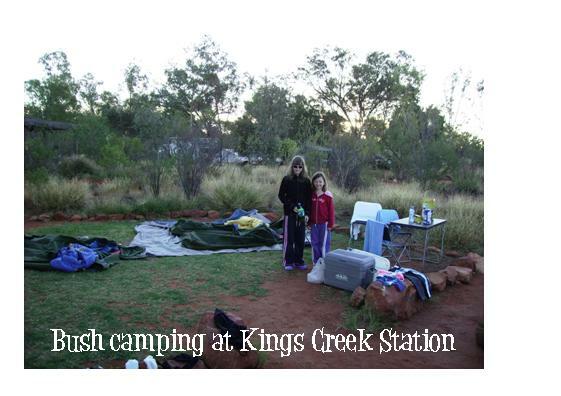 Saw some camels just cameling around and arrived at Kings Creek Station in time for a swim before we set up camp and had a delicious salad tea. yup, that was our steep rock steps. They were steep, steps may be too generous a description though! But they didnt take the 20 minutes advertised and we were glad we had started before it began to get hot! We were then at the rim of the canyon and spent the next couple of hours walking around the rim, up and down into an amazing Garden of Eden complete with gorgeous cheeky birds and waterhole. And then walked back around the otherside and eventually could see the car park and headed back towards the car, hot, tired and happy. We had lunch at a rest area by Kathleen Springs, before driving back to Kings Creek Station for an ice cream or pot of tea and petrol. 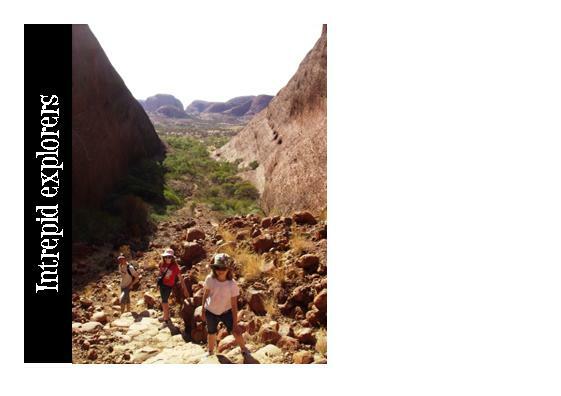 via the Uluru-Kata Tjuta Cultural Centre where we read up on some of the Dreaming Stories of the Anangu people, experiencing a little of their history and culture. Uluru certainly is amazing. It is different from every angle and somehow seems non-passive because of that. It seems a bit of a cliché to say that words cant describe it, but really they cant. Mine cant anyway. It is pitted and peaceful and changing and present. We drove the circumference and watched the sunset in the designated viewing area, behind the vegetation-protecting fences. 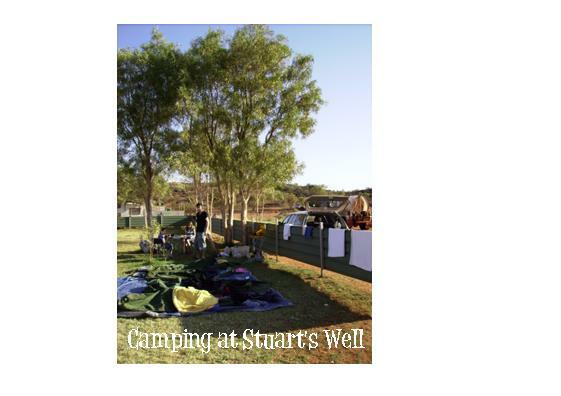 Then back for a swim, showers and tea preparations before another night under the stars. Up before dawn, hoping to get to the Kata Tjuta viewing area for sunrise. Didnt quite make it and stopped on the side of the road to watch the sun come up over Uluru behind us. 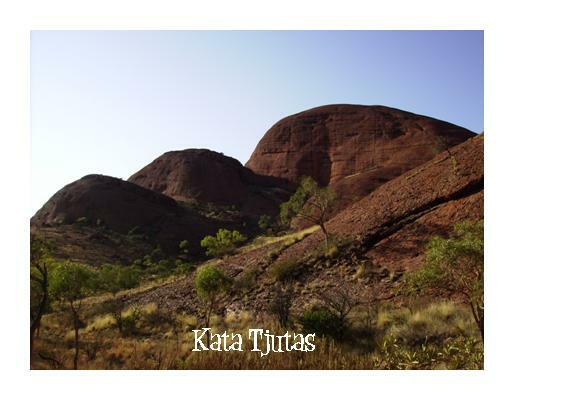 Had breakfast in front of Kata Tjuta and then set off to walk the Valley of the Winds Walk in amongst the Kata Tjutas. It was a spectacular walk with amazing views of the 36 rocks that make up this stunning piece of the world. 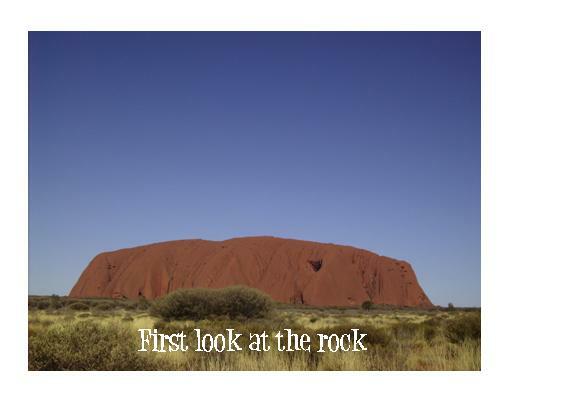 We had decided before coming not to climb Uluru as the Anangu request that you dont. The path has great spiritual significance for the local people and so we had decided to respect that. 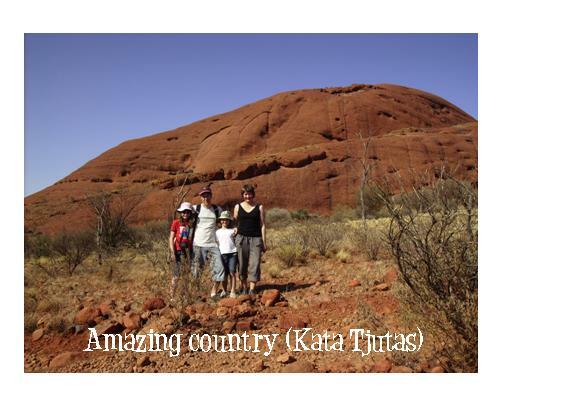 We had thought we could walk the circumference but decided to drive it and enjoy the Kata Tjuta walk instead. I would certainly recommend that! There was one other little walk it would have been nice to do, but the clock was ticking, the girls had been pushed pretty hard already and Stuarts Well was calling. Made it to Stuarts Well in good time for the girls to have a swim and us to set up our most established feeling campsite. It was nice to know that we would be able to have a leisurely breakfast (and a cup of tea!) before needing to be on the road. We enjoyed a delicious dinner, showers and more lying under the stars (including shooting stars). A warm wind came up in the night and we woke at dawn again and enjoyed the sensation of not needing to be anywhere just yet. Shannon played piano for Dinky Dingo, who played and sang (very competently) along. 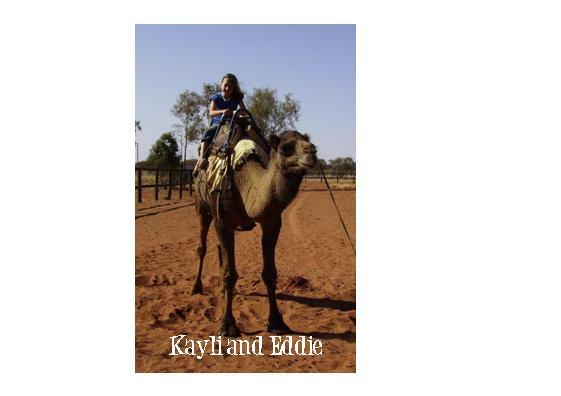 Kayli had a camel ride on Eddy the camel, and then we began the short drive back to Alice. Took the car back, headed to the airport and flew back home to Adelaide very happy, satisfied and hugely richer in experiences. It felt like an enormous privilege. A trip I never imagined I would get to do. Bliss. 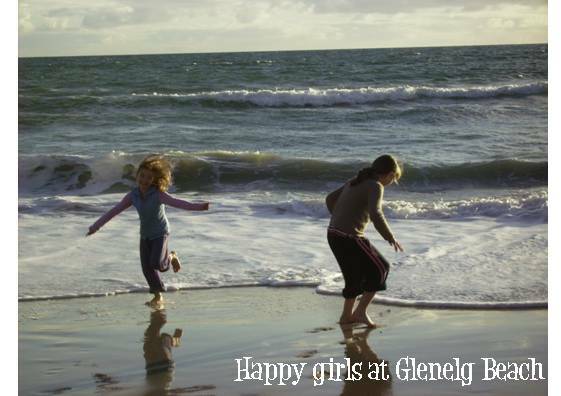 A weekend in the Fleurieu Peninsula saw us walking along the causeway to Granite Island. No whales to be seen, but gorgeous scenery. We went to an animal farm and made friends with kangaroos, including some with joeys, and also got to stroke adorable koalas. Bizarre watching the rugby at a pub where there was only one other patron watching the game, and he was English. No-one else cared who won (did they know a game was even on? ), everyone was watching the AFL. Sunday we went on a cruise on the Coorong, where Storm Boy was filmed. Amazing scenery, awesome spot, prime real estate for the Aboriginal people who lived there for thousands of years with sea on one side, river on the other, and fresh water literally in the sand hills that you can dig a small hole for and drink. Quite amazing. Home Sunday night to a dinner of Coorong Mullet purchased from the Island. Yum! Visited the museum yesterday which included a huge amount of stuff from PNG, including some artefacts from the Gogodala people, among whom Steves family lived. must read again how opals are formed! Another super day today, the girls are playing Narnia loudly(!) thanks to the new bow and arrow set that K bought yesterday. Looking forward to a weekend by the seaside at Victor Harbour. There are penguins to be seen, as well as the possibility of some whale-spotting, plus the usual options of walks and beaches! Were also hoping to get up close with a koala. Had a lovely Fathers Day yesterday. The girls had bought gifts and we had banana pancakes for breakfast before heading off for a walk along the coast. 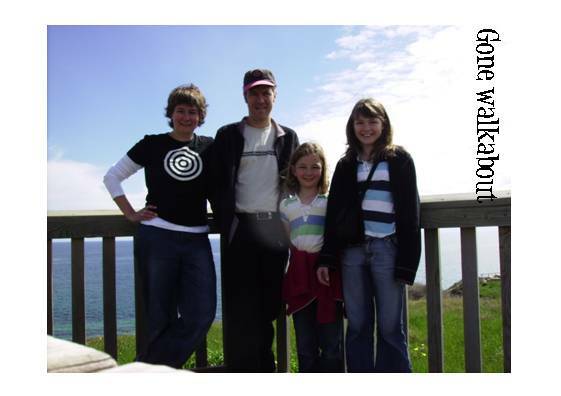 We think it was Steves first fathers day without any church commitments: when we were at Graceway we just had an evening (5.30) service, so we could have a relaxed morning on FD, but this time we didnt have either morning or night (or both!) church to do anything at, so was a bit special. 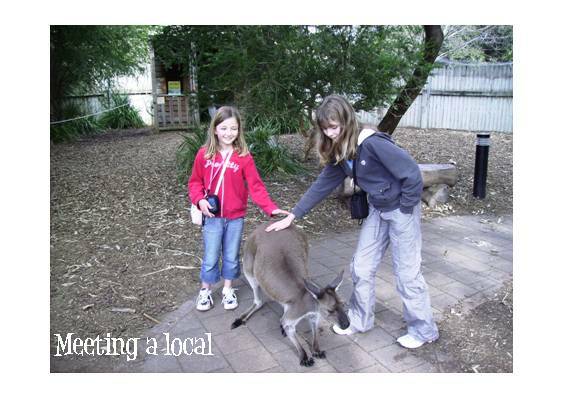 Last Wednesday the girls and I went to the zoo for the day which was fun, especially the patting the kangaroos and other strange animal (quokka?). We also popped into the travel agent and paid for our Kangaroo Island adventure. The woman I have been working with there recognised me, which I think was the first time I have been recognised since being here. It felt nice :). 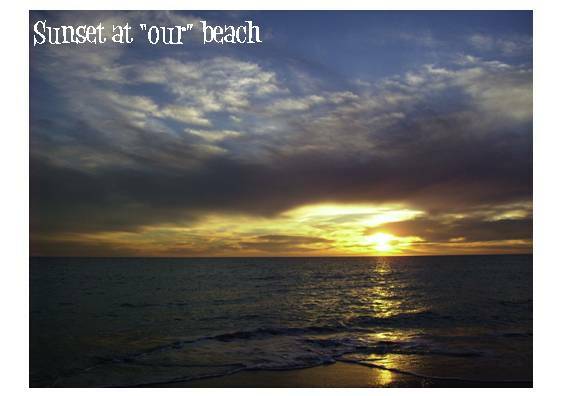 a bit of blogging, some work emails, may be time to make muffins again, and I think I hear the beach calling! We drove up to Port Germein after Steve finished work, and had a pub tea at the Port Germein Hotel. The morning was very windy and there were heavy showers from time to time. We walked the Port Germein jetty: which is (or was) the longest wooden jetty in the Southern Hemisphere, at 1530m. we ended up patchily wet: wet fronts and dry backs. Drove on to Port Augusta and visited the Wadlata Outback Centre, which was a very impressive centre featuring geological and cultural history of Australia. Lunch was at the Arid Lands Botanic Gardens where we saw gorgeous wild flowers and sleepy lizards (distinguishable by their odd tails). 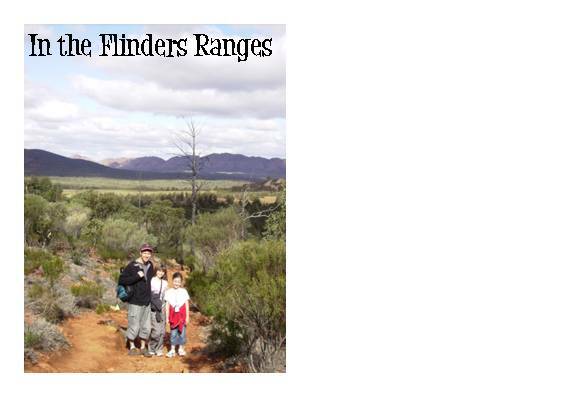 Then we drove to Wilpena Pound and arrived in time for a dusk walk where we met some friendly kangaroos. Sunday morning we walked past the old Hills Homestead up to Wangaroo Lookout where we had panoramic views over the Pound. Again we were struck by the many gorgeous flowers. And the peacefulness and the redness of everything. Had a (wind avoiding) car-nic before walking to the Sacred Canyon; a beautiful spot with ancient rock carvings. Waited for some emus to amble across the road, on our way back to the main road. Heading back towards Adelaide we stopped at Rawnsley Lookout and then walked in to Arkaroo Rock, a site where historically initiation rites were performed and there were more rock paintings (including witchery  huhu  grubs). I hope that travelling like this will make me see my own place with more detail. would that be possible??? ), saw a fox scurry across the road, and stopped for dinner at the Rising Sun Hotel in Auburn, after driving past Taylor Wines just out of Clare. All in all a very rich weekend.